its retention of most of its original grounds and some of its landscaping, compared to the subdivision of most similarly scaled properties in the metropolitan area; its high integrity to its construction date, evoking both the boom era lifestyle generally and the individual lives of at least two distinguished families, by the retention of service areas and stable block as well as the opulent architecture of the main rooms; the grandness afforded for a suburban timber dealer's residence of the 1880's also locally notable as built for a local businessman and councillor and later the residence for businessmen with metropolitan wide interests. 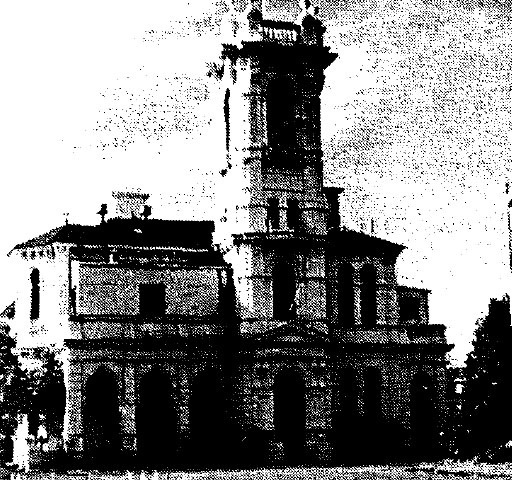 its architectural quality which promotes the designer, lames Gall, as among the foremost creators of grand Italian Renaissance derived towered mansions in the state and is of special interest to Camberwell because of Gall's design of the Boroondara Shire hall; and its detailing which provides in a superior way examples of the full vocabulary of decorative iron, stucco and coloured glass used in the late 19th century. Sited on an elevated part of the estate, the house is off-centre in its original block and has two main facades, the north and the west. The north facade addressed the winding carriage drive from Mont Albert Road and the west looked towards the distant city of Melbourne, surmounted by its observation tower which marks the entry to the house. Presumably the design expected arrivals from Melbourne to be more important and numerous than by travellers going in the opposite direction. Frognall was then at the limits of suburbia. The internal layout of 31 rooms (half of them service areas) probably consisted of a large drawing room, entered from the west end of the hall, followed by a breakfast room, and a dining room close to the grand main staircase at the east end of the hall. Opposite these rooms were the library and billiard room: rooms which were evidently not intended to benefit from the views over the incoming driveway and garden. The near self-contained service wing stretched to the south, invisible from the drive, heading towards the four-stall stable block with its groom's room, coach house and bricked yard. Upstairs there were the bedrooms (4), the main bedroom relatively gigantic and linked to a sitting room on its east side. The maids' rooms wrapped around the back stair which led down to the service wing. Ornament varies from the ornate plaster, free-standing hall columns, polished joinery and encaustic floor tiling of the original concept, to the Art Nouveau pattern anaglypta wallpaper dado of works early this century which also saw the installation of internal water closets on each level. A similar style of pressed metal ceiling lining is used on only one other room in the house. Original window glass in the stair hall was created by William Montgomery, the noted 19th century Melbourne decorator. Fine marble fireplaces exist in most main rooms but some plaster ceiling roses have been removed or covered over. The garden, disposed to the north and west of the house, was and is dominated by lawn with shaped bedding perhaps originally filled with brightly coloured annuals in the gardenesque manner.